Adding my first strategy to the community bank. How was the strategy generated? The strategy was initially generated on 2 years of data using random generation on selected timeframe only, half a year of which was OOS. How was it tested further? – It was retested on 15 years of Dukascopy tick data as OOS, to make sure it works through history, confirmed via SQ & mt4 using TDS. Nope, if I like the strategy enough, I usually don’t optimize it, sometimes I give it a minor bump. How did I check robustness and try to avoid overfitting? – The fact genetic evo wasn’t used & the strategy was generated as is randomly using 2 years data, and turns out to work well on the entire data set, makes me more confident that I didn’t overfit it. – 500 MC (each) runs of: Randomize trades order, skip trades, randomize min distance from price from 0-10, randomize slippage 0-5, randomize spread 1-5, randomize starting bar max change 100. 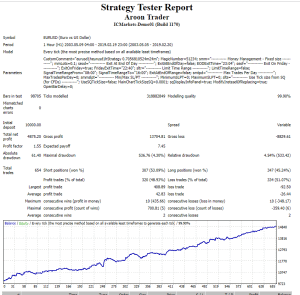 – 500 runs of Randomize History Data with probability 20% and max price change 20% of ATR. Same filters as above. 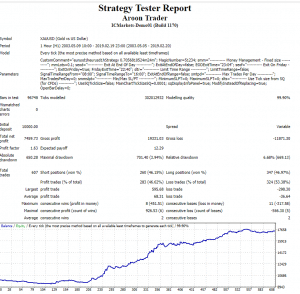 – 100 runs of Randomize strategy parameters, with probability 20% and max change 50%. Looking for RETDD at 100% to be > 1.